Do you desire a dry, flat, stable surface that is infinitely more interesting than concrete and comes with a written warranty? Then consider a paver driveway. We have completed the rigorous ICPI (Interlocking Concrete Paver Institute) certification program and have the tools and know how to install your paver project right the first time! 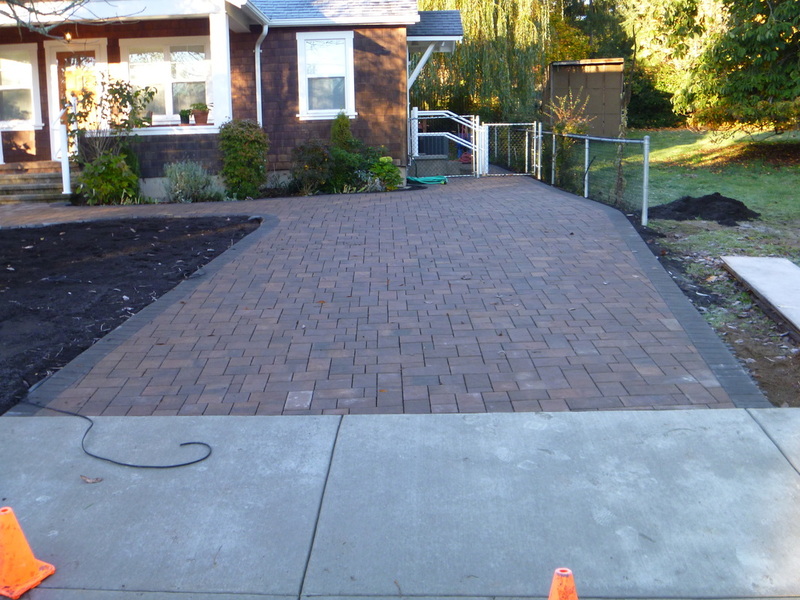 This Coburg, OR paver driveway (second photo on the right) is actually a permeable paver driveway. These pavers have special joints between them that allow for the majority of rainfall to percolate through to the natural aquifer system rather than sheet off to the city stormwater system. Many municipalities are implementing new code that only allows a certain percentage of each building lot to have an impervious surface. 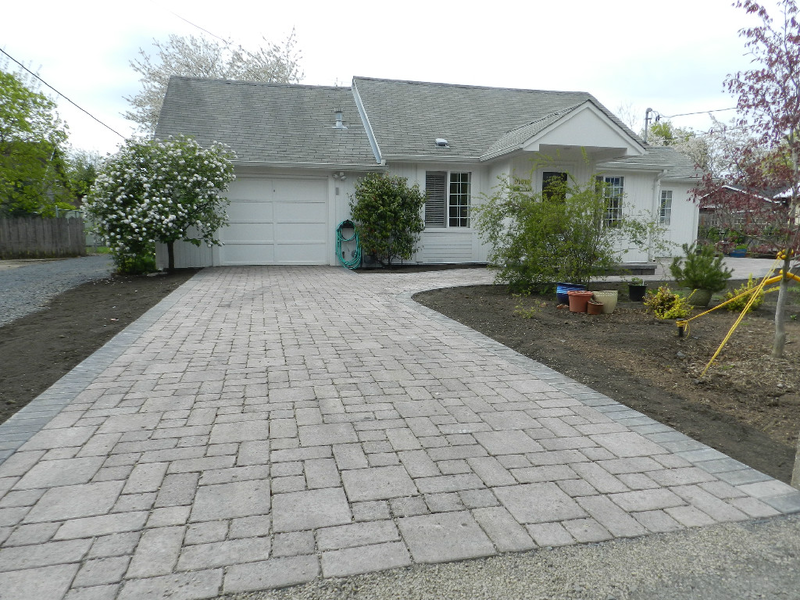 This homeowner in Coburg, OR was tired of the gravel/mud mix she had to use for a driveway and wanted to pave it. The work-around was installing permeable pavers in place of asphalt or concrete. We begin by placing a bed of open drain rock to create a reservoir under the driveway, we then use a quarry rock for stability, and finish the joints with an open gravel to allow any rainwater to reach the natural aquifer rather than overloading the city's already taxed stormwater system. Designed and installed by Graham Landscape and Design LLC. 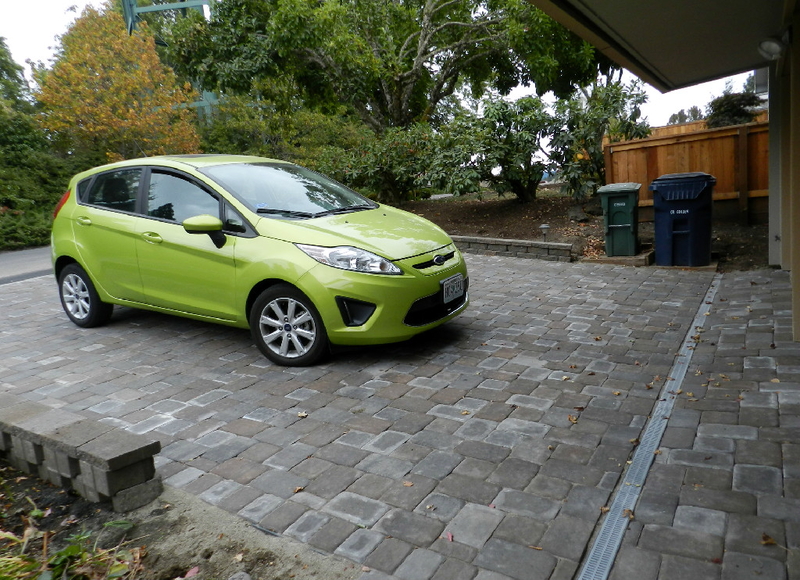 Have you ever sat around wishing that your driveway project could come with a warranty? We thought so! And since we believe in our skills, education, and experience so strongly we have instituted industry-leading warranties on all of our hardscape projects! Check out our interlocking paver driveways gallery to check out more paver driveways installed by Graham Landscape and Design LLC.